 Keane helps companies navigate the complex unclaimed property filing landscape and report unclaimed property correctly. Our goal is to assist you in achieving full compliance and avoiding serious fines and penalties. For the company that has not previously filed unclaimed property reports, completing a voluntary disclosure agreement is one method of reducing your audit risk. While no industry is “safe” from an unclaimed property audit, the benefits of a voluntary escheat filing can be significant in avoiding a situation of that nature. A voluntary disclosure agreement, also known as a VDA, will allow your company to willingly come into full compliance while avoiding the fines and penalties associated with overdue filings. A VDA can also reduce the period for which your company is required to report on property. If your company has not previously filed a VDA in a particular state, you may have the opportunity to complete this process.